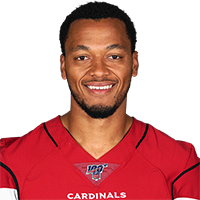 Hundley is expected to sign a one-year contract with the Cardinals, Adam Schefter of ESPN reports. Analysis: Hundley didn't see the field for a single snap while backing up Russell Wilson in 2018. He'll figure to compete for a backup role behind starting quarterback Josh Rosen while in Arizona. Hundley didn't record an offensive snap in 2018. Analysis: The Seahawks sent a sixth-round pick to Green Bay in exchange for Hundley in August but he wasn't needed, as Russell Wilson played every game for the seventh straight season. Hundley will become an unrestricted free agent in March and projects as a serviceable backup quarterback wherever he lands. The Packers agreed to trade Hundley to the Seahawks on Wednesday in exchange for a 2019 draft pick, Adam Schefter of ESPN reports. Hundley went 8-for-14 passing for 78 yards with no touchdowns or interceptions during Friday's preseason game against the Raiders. Analysis: Hundley guided the de facto first-team offense for the Packers with Aaron Rodgers sitting out, suggesting that he's still considered the team's top backup option despite the offseason addition of Deshone Kizer. Despite not throwing for a touchdown, Hundley still outplayed Kizer on the night, potentially cementing himself as the top backup with one week remaining in the preseason. Either way, it would be surprising if the Packers didn't hold on to three quarterbacks through roster cuts. Hundley completed six of nine passes for 77 yards and had two carries for 12 yards and a touchdown in Thursday's preseason game against the Steelers. Analysis: Hundley was the first quarterback to see action after Aaron Rodgers led the first drive, and he was effective while playing three series, leading the Packers to points on each occasion. Hundley and fellow reserve quarterback DeShone Kizer have both played well during the preseason and continue to compete for the backup spot behind Rodgers. Hundley started Thursday's preseason win over the Titans and completed nine of 14 passes for 108 yards. He tossed a touchdown and also threw an interception in the contest. Hundley is expected to start Thursday's preseason contest versus the Titans, Jason Wilde of the Wisconsin State Journal reports. Hundley is on the roster bubble in Green Bay, Rob Demovsky of ESPN.com reports. Hundley completed 14 of 24 passes for 172 yards, one touchdown and two interceptions during Sunday's 35-11 loss to Detroit. He also lost a fumble and converted a two-point conversion during the contest. Packers head coach Mike McCarthy said Sunday that Hundley would remain the team's starting quarterback Week 17 against the Lions, Rob Demovsky of ESPN.com reports. "Not sure why you'd want to pull the quarterback," McCarthy said. "There's a lot more going on than just the quarterback." Hundley completed 17 of 40 passes for 130 yards and two interceptions during Saturday's 16-0 loss to the Vikings. Packers head coach Mike McCarthy confirmed Tuesday that Hundley will start the Packers' final two regular-season contests. 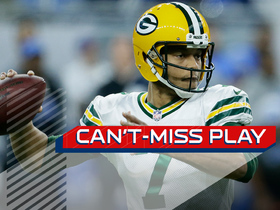 "Very important for Brett Hundley. He's excited. 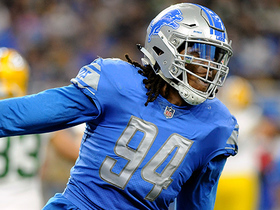 He gets another opportunity against two division opponents [the Vikings in Week 16 and Lions in Week 17]." Hundley is expected to start the Packers' final two games of the regular season after Aaron Rodgers (collarbone) was placed on injured reserve Tuesday, Ryan Wood of the Green Bay Press-Gazette reports. Hundley is expected to resume backup duties Sunday against the Panthers with Aaron Rodgers (collarbone) confirming Tuesday that he's received medical clearance to play in the contest, Wes Hodkiewicz of the Packers' official site reports. Hundley completed 35 of 46 passes for 265 yards and three touchdowns, adding seven carries for 31 yards, in Sunday's 27-21 overtime win in Cleveland. Hundley completed 13 of 22 passes for 84 yards with no touchdowns and one interception in Sunday's 26-20 overtime win against the Buccaneers. He also rushed seven times for 66 yards. Hundley completed 17 of 26 passes for 245 yards and three touchdowns during Sunday's 31-28 loss to the Steelers. He added six rushing yards on one carry. Packers head coach Mike McCarthy said that Hundley will continue to start at quarterback in the absence of Aaron Rodgers (collarbone), Rob Demovsky of ESPN.com reports. "Brett Hundley's our starter," McCarthy said. "I believe in Brett Hundley. [Sunday's 23-0 loss to the Ravens] didn't go very well, obviously. We understand the standard that's been set here. We're all part of it. Brett Hundley's part of that, too. So we'll burn the tape." Analysis: Hundley suffered through a disastrous four-turnover, six-sack performance Sunday, but he was far better the previous week in a 23-16 road win over the Bears. While his own play has been unimpressive, Hundley likely is better than Joe Callahan, who went undrafted in 2016 and has yet to make his NFL debut. Hundley could struggle to bounce back from the horrid outing when the Packers head to Pittsburgh to take on the 8-2 Steelers in their Week 12 contest. Hundley completed 21 of 36 pass attempts for 239 yards and three interceptions during Sunday's game against the Ravens. He also gained 19 yards on three carries and lost a fumble. Analysis: Hundley got off to a poor start in this one, throwing interceptions on each of the first two possessions. He completed 58 percent of his passes and went over 200 yards for the second straight game, but his inability to consistently go downfield resulted in a meager average of 6.6 yards per attempt. Yet to face a favorable matchup as the starter, the struggling Hundley will see another tough defense in Week 12 against the Steelers. Head coach Mike McCarthy said Hundley (hamstring) will practice in full Wednesday, Michael Cohen of the Milwaukee Journal Sentinel reports. Analysis: Hundley emerged from Sunday's win over the Bears with a hamstring injury, but McCarthy isn't worried about the quarterback's health for the first practice of the new week. Assuming he gets through the rest of the week unscathed, Hundley will have a tough task on his hands in a Week 11 matchup against the Ravens and their third-ranked pass defense. Hundley suffered a hamstring injury during Sunday's 23-16 win at Chicago, Pete Dougherty of the Green Bay Press-Gazette reports. 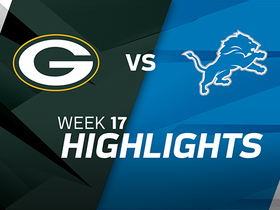 Hundley completed 26 of 38 passes for 245 yards and rushed four times for 22 yards and a touchdown in Monday night's 30-17 loss to the Lions. 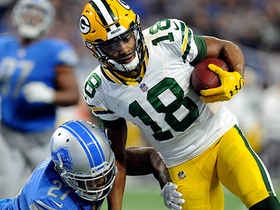 Green Bay Packers quarterback Brett Hundley finds wide receiver Randall Cobb for two points. 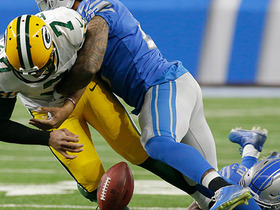 Detroit Lions safety Glover Quin forces a fumble while tackling Green Bay Packers quarterback Brett Hundley and Detroit Lions linebacker Tahir Whitehead recovers the ball for a Lions turnover. 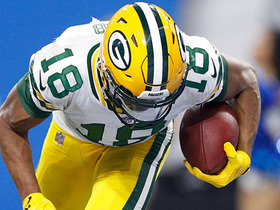 Green Bay Packers quarterback Brett Hundley throws to wide receiver Randall Cobb for a 17-yard touchdown. 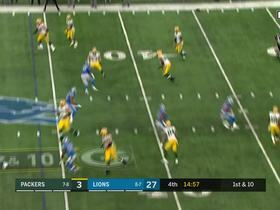 Green Bay Packers quarterback Brett Hundley throws to wide receiver Trevor Davis for a 29-yard gain. 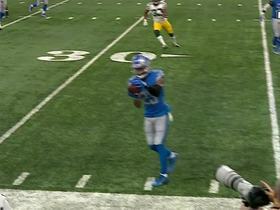 Detroit Lions cornerback Darius Slay intercepts Green Bay Packers quarterback Brett Hundley. 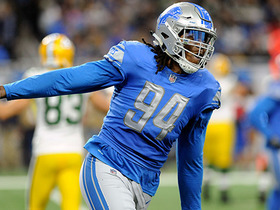 Detroit Lions defensive end Ezekiel Ansah sacks Green Bay Packers quarterback Brett Hundley for a loss of 10 yards. Green Bay Packers quarterback Brett Hundley hands off to wide receiver Randall Cobb who then throws back to Hundley for a 10-yard completion.